Promote the use of city space in the abandoned area, beneficial and be safe place. Seedlings and city farming model that have to encourage city and poor communities have grown vegetables intended intake to reduce costs of living. 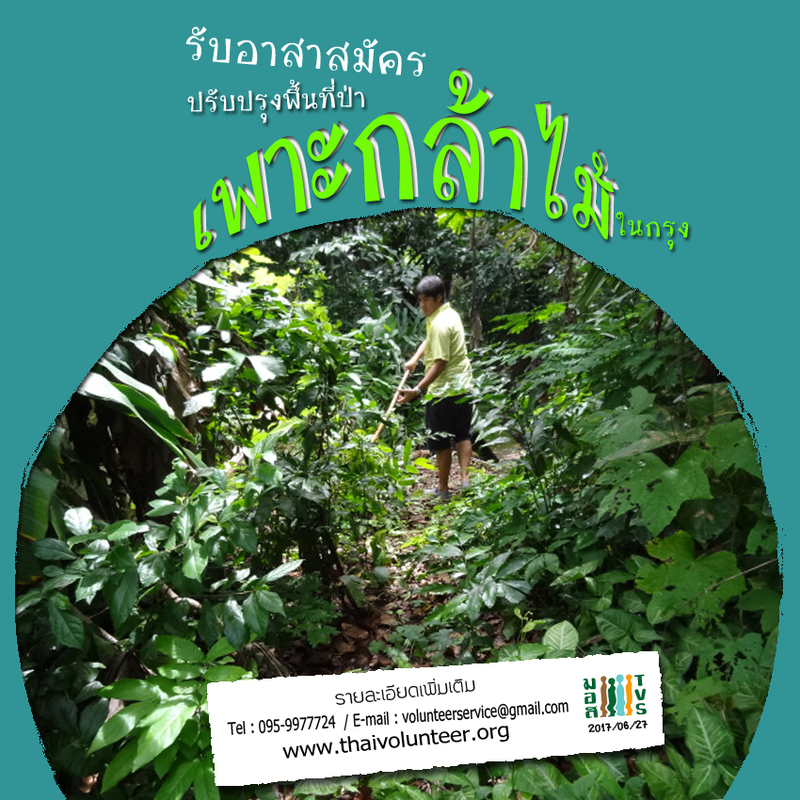 The Foundation will organise the event rotated every month; fill soil, seedlings, farming, vegetables, herbs garden, making organic fertilizer, planting trees, to mow wild grass,… etc. TVS encourage volunteers to join and be part of citizen volunteer to build good city and society. 09:00-09:30 Registration Get to know each other, gardening activity. 13:00 – 15:30 Continue volunteer ativity.